We offer sea freight forwarding to companies and individuals alike. EBISS can also provide a complete range of import and export movements by sea. We work with the worlds largest international carriers, providing cost effective sea freight rates and reliable sailing schedules. 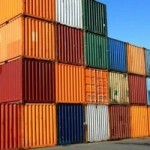 If you need a full container load, we can provide any size container that you’re looking for. Most customers choose a 40’ container but we can provide a 40’ High Cube container. The difference is just 12 inches or 30 cms which equates to an additional 344 cu ft of additional storage. It also allows you more height to load pieces that exceed the 7’ 10” internal height of a standard 40’ container. Shipping by LCL (or less than a container load) allows you to share an sea freight container with other shippers and as such, benefit from a shared cost as you only pay for the space you use rather than the whole container. We can receive your shipment or pick-up from origin, pack and ship on your behalf by sea freight to virtually any world-wide destination. With our door-door service on FCL or LCL, we work with our trusted international agents to facilitate timely Customs clearance and deliveries. 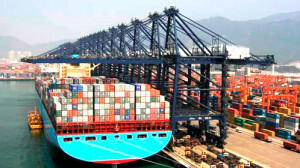 If you have your own Customs agent, we can export your shipment to arrival port only. Your own agent can take over on arrival. We provide you with our key staged update email tracking updates. We’ll update you at regular stages to keep you posted on your shipments whereabouts and status. If you have a shipment that is overheight or overwidth, we can move it. 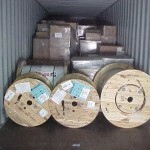 You can call on our expertise to select the correct equipment to move your shipment by sea freight. We can provide open top containers, flat racks, platforms or refrigerated containers and provide the necessary equipment at both the unloading and reloading locations. Sending Personal Effects by sea is a cost effective way of moving your personal effects world-wide. If a small shipment, you can benefit from our LCL service or for house-moves, we can provide Full Load containers. All our personal effects services are on a door to door, or door to port service.